Picture this: You’re out on the water. It’s just you and your best buds. The sun is warm, the beer is ice-cold, and the water is crystal clear. You couldn’t be more relaxed — until you get that pull on your line. The next thing you know, you’re locked in mortal combat with one of the most powerful predators in the ocean. Sounds exhilarating, isn’t it? That’s because it is. You should go shark fishing at least once in your life, even if it’s just for the experience and the bragging rights. You may not catch anything, but if you do, it’s better to be prepared before you step into that charter boat. 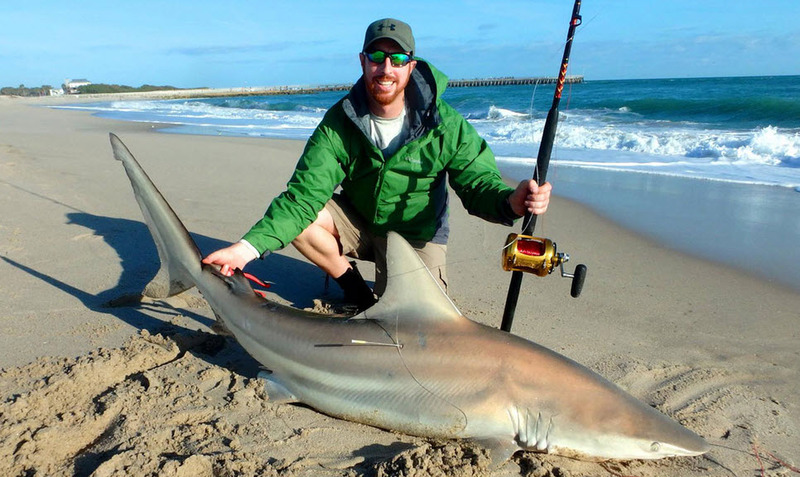 Here’s a complete beginner’s guide to shark fishing. First things first, you’re not going to need to worry about getting scuttled by a monstrous Great White. This isn’t the movies, and your charter boat isn’t going to be anywhere near the size of the boat from Jaws. In fact, most modern shark fishing is done on light tackle boats, usually no longer than 36 feet at the most. You’re also not going to need the kind of massive gear that you’re likely imagining in your head to catch sharks out on the water. There’s a reason why shark fishing charter boats, and the equipment they use to catch those sharks, isn’t as heavy-duty as you would expect. Modern designs for boats and tackles have led to some real innovations. In the world of tackle alone, the move to braided lines away from monofilament has resulted in much stronger, tougher braided lines being spooled onto reels that are the same diameter as much smaller monofilament lines. You can spool four times the amount of 80-pound test braid, for example, than you can 80-pound test monofilament. A lighter and more durable line means your reel requirements are lower. This saves on weight, and that means your rod requirements are lowered as well. As a result, you’ve got a lighter, more maneuverable, more responsive tackle set on a modern shark fishing boat. Combined with a sturdy fighting rig and you’ll be reeling in the big sharks in no time and with a fraction of the effort it would have taken back in the day. Once upon a time, you needed some highly specialized knowledge when it came to finding the best spots for shark fishing. There’s an art to selecting likely spots, and it’s not that different than hunting in that you need to find a place to lay down your chum slick that’s both a likely shark habitat and one that exhibits evidence that the little beasties are in the area. What makes a good spot? Plenty of factors are in play. All of those factors, thankfully, aren’t your responsibility, especially for a beginner. That’s because the best way to get out on the water in a hurry is to charter — and charters come with built-in guides, highly experienced ones that know the best waters to find sharks and the best methods for attracting them. 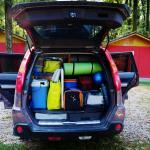 In fact, your guide will provide you with everything you need to haul in your first catch. From the chum and the bait to the rod, reel, and tackle, you’ll be perfectly equipped, brought to the perfect spot, and given expert instruction on what exactly you’ll need to do if you get a bite. Once you do get that bite, the battle begins. Your guide will likely tell you to wait a few seconds — sometimes up to ten — to let the shark get the bait secure in its mouth before setting the hook. Reel tight and give a couple of good pumps; this will ensure the hook is through the thickest part of your shark’s jaw. At this point, you’ll need to stay tight. Don’t give that shark an inch, no matter how hard it pulls! This is where modern big game fishing gear technologies have your back. Braided line doesn’t stretch like monofilament, so you’ll have less of a hard time keeping that line tight. Don’t be surprised if your guide starts up the boat’s engines, either, as a smart guide knows full well that sharks love to lunge towards boats in an effort to slacken a line. At this point, your guide will be at your side, talking you through the process while keeping everyone else safely away. Once you reel that shark in, your guide and any other crew aboard will use gaffs and harpoons to get its tail out of the water. This immobilizes your catch, subduing it enough to secure it to the side of the boat. The last thing you want is a lively shark with a powerful, thrashing tail brought aboard — ever been smacked by a mako shark tail? It’s not fun. After subduing your shark by bringing its tail out of the water, your catch will be documented. At that point, your guide or another crewmember will use a special tool called a release stick to remove the hook and send the shark on its way. Yes, that’s right — the majority of shark fishing done today is catch and release. What, you didn’t think you were bringing a giant shark home with you to mount on your wall, did you? There are some very good reasons for releasing your catch afterward. Sustainability is the most important one. Showing mercy to a caught shark is just smart. A shark released today can live to contribute to stocking future shark populations, and that means the next time you go shark fishing there will still be sharks to be caught. In the end, it’s the experiences that matter. You’ll have memories of triumphing over one of the most fearsome apex predators of the ocean — and if you’re lucky, the pictures and video to back up your claim. 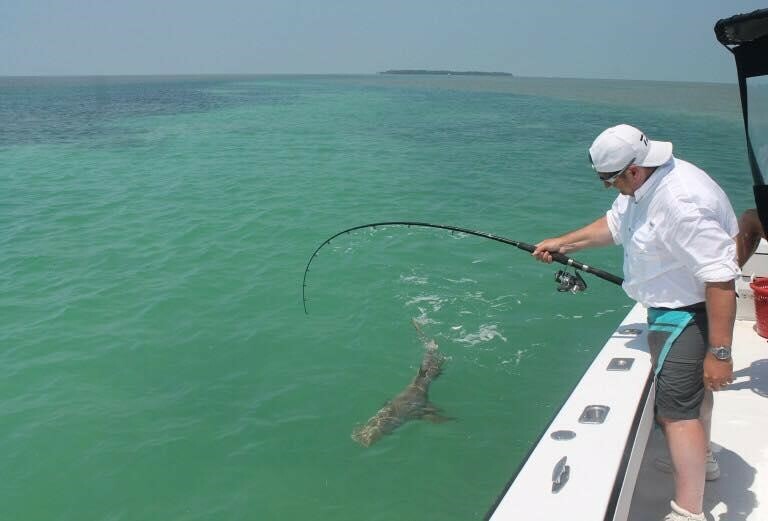 Not everyone can say they bagged a giant shark off the coast of Key West, but you sure can.